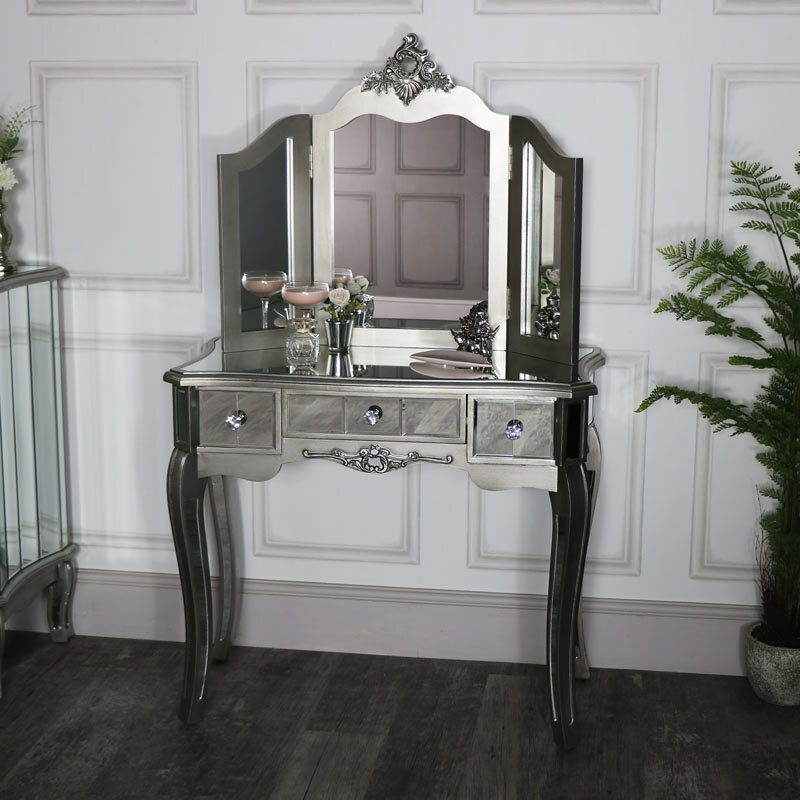 This dressing table and table top vanity mirror forms part of our stunning Tiffany Range. 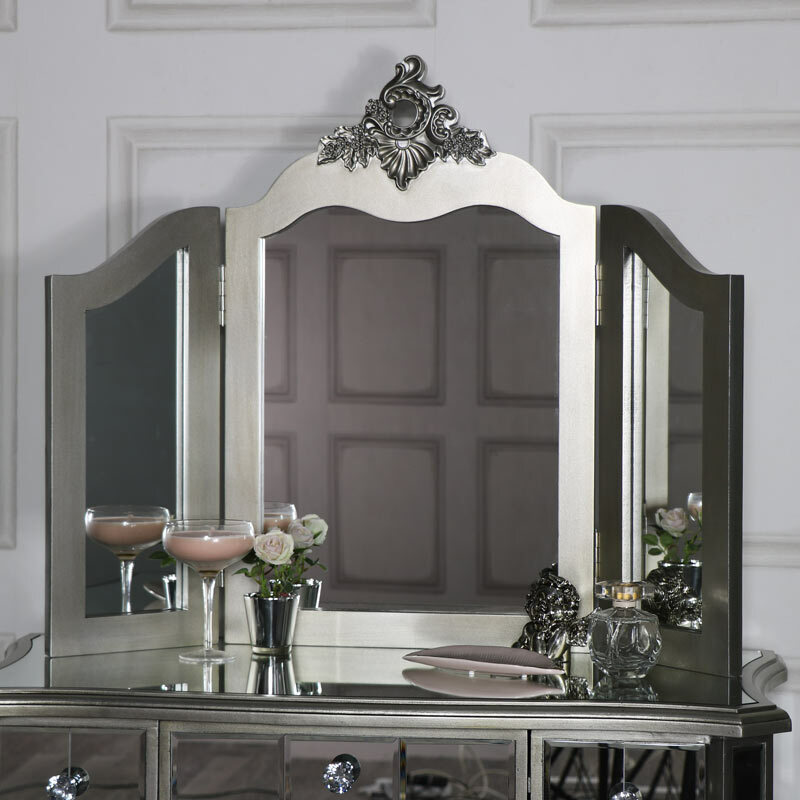 Ornate silver painted furniture with bevelled mirrored panelling. 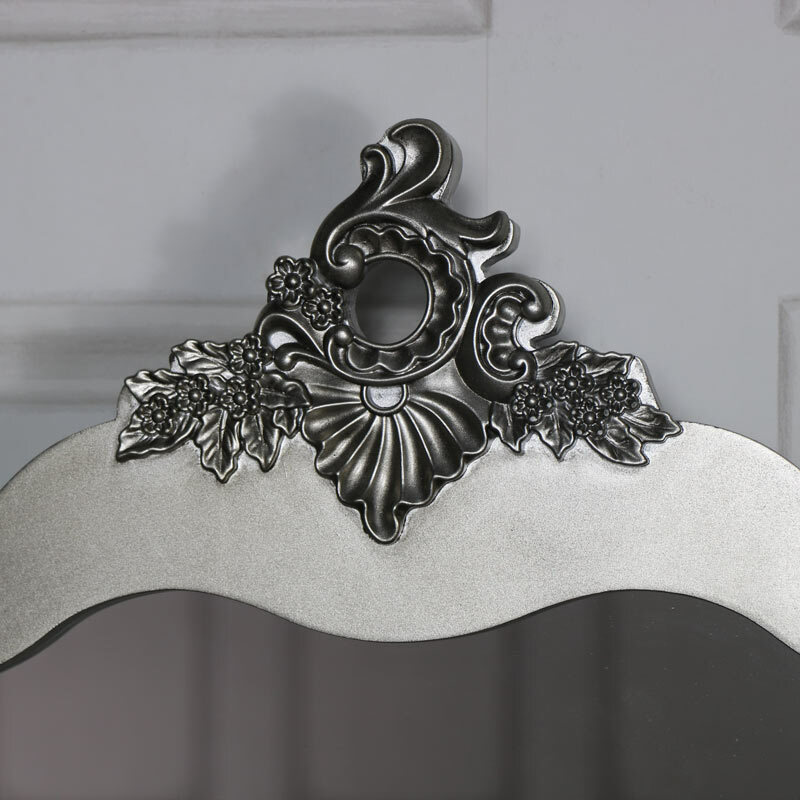 Classic vintage, French style that will create and elegant and luxurious look in any bedroom. The mirrored paneling creates a visually stunning effect and will easily fit in with most colour schemes. 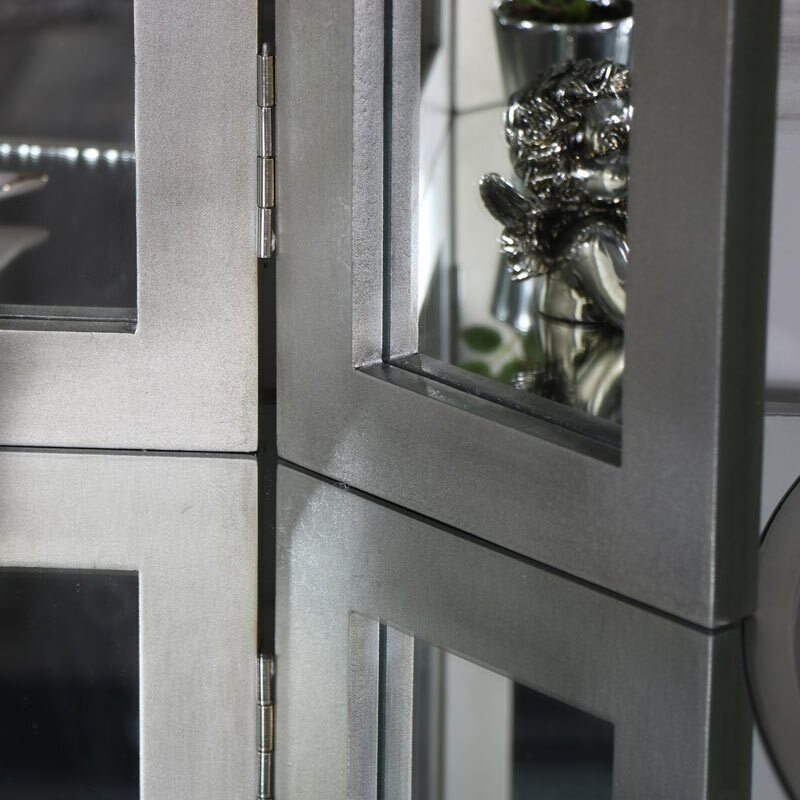 The antique silver paintwork is highlighted beautifully by the mirrored surfaces. 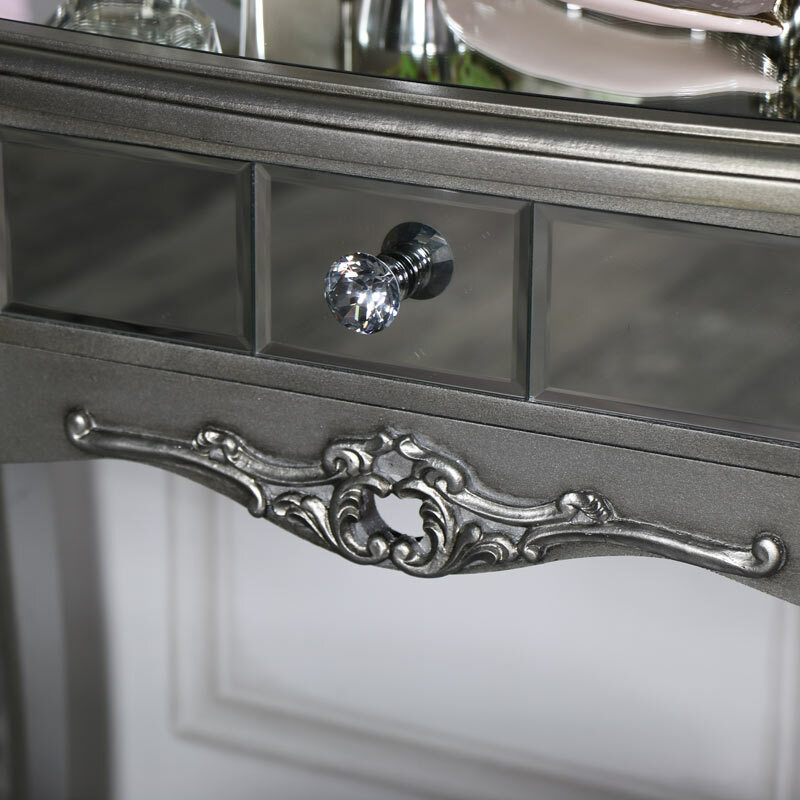 With drawer storage on the table and a triple design vanity mirror. 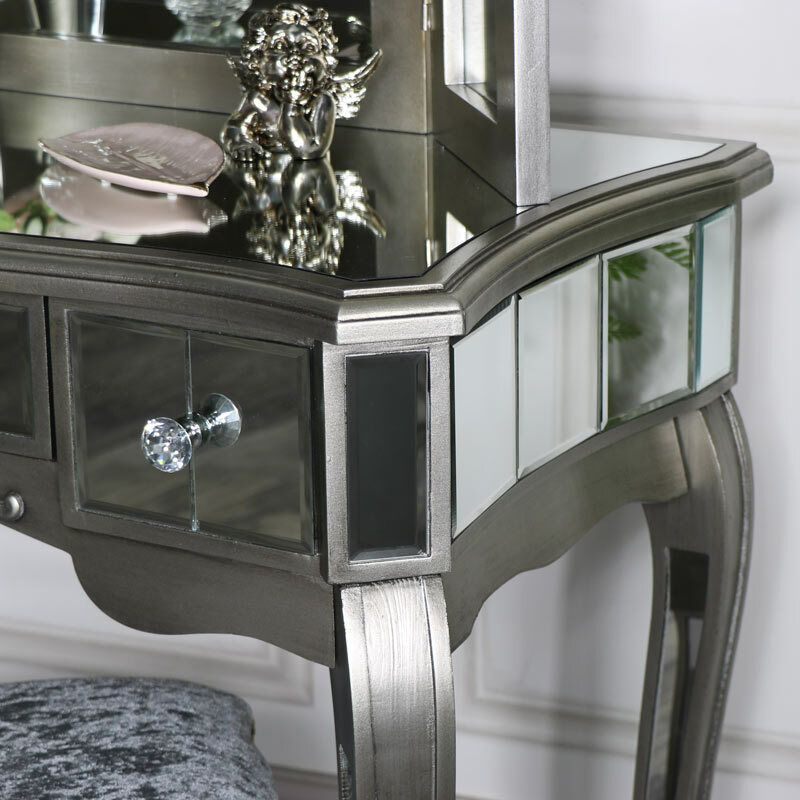 We have an extensive choice of furniture available in our Tiffany Range. A great choice for creating a luxurious and glamorous look throughout your home with furniture for the living room, bedroom and hallway.